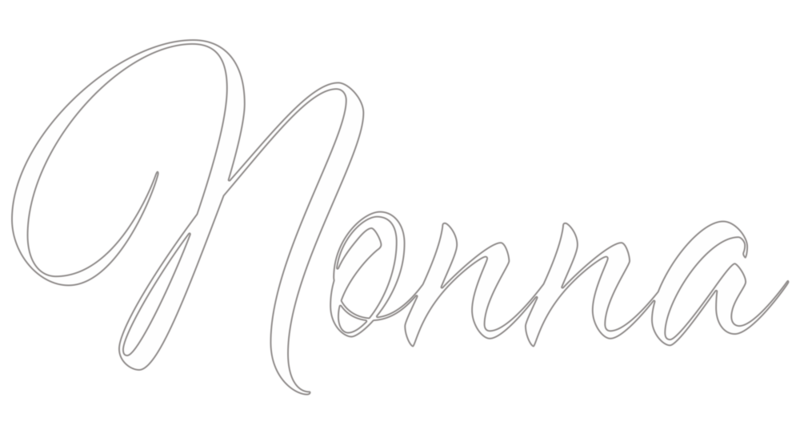 MEMORIES MADE AT NONNA'S LAST A LIFETIME! Every libation achieves that elusive whimsical medley & craft defining balance of tantalizing taste perfection. Ricordati una cosa a' NONNA, un giorno la NONNA non ci sarà più. E io voglio che tu devi fare tutte le cose che fa la NONNA! Remember darling, one day Nonna won't be here anymore. And when that day comes, I want you to be able to do all the things that Nonna does! What connection runs deeper than food and family? I can't think of any! When you taste something you remember, it awakens your sense of identity, reminding you of where you came from & ignites memories of being cared for and especially spoiled by Nonna. All of our recipes come from a lifetime spent in the cucina, taking simple ingredients and transforming them into something magnifico! Each recipe has a history... a story.. and our restaurant is full of BOTH! Applauded as an artist in the hospitality industry, Jacopo Falleni is well steeped in the facets of his craft. Born in Florence, Italy, he excelled in an intensive curriculum of Hotel and Restaurant Management, graduating with high honors from the Instituto Professionale per I Servizi Alberghieri. Never one to settle, and addicted to challenge, Jacopo set his sights on the U.S. “I believe that travel is necessary to acquire culture and knowledge. That is why I jumped on the boat to the United States,” states Falleni. His first experience outside of his home country started in New York City, where he opened Il Gelatone, the first homemade Italian Gelato Shop in Manhattan. The store became an overnight success and began distributing to New York’s finest groceries and restaurants, including Dean and Deluca. For several years he owned and managed Firenze Osteria, Toluca Lake, California and Café Firenze, Moorpark, California overseeing all restaurant and bar operations. He was constantly polishing the skills of his staff, infusing them with attitudes of warmth, dignity and grace. Jacopo has co authored the Cafe Firenze cookbook and has appeared in TV shows such as ‘The Real Housewives of Orange County,’ ‘Life after Top Chef,’ in addition to several morning shows. He is the resident mixologist on the podcast ‘Drinking Made Easy,’ with Zane Lamprey. Jacopo creates weekly cocktail recipes and pictures for his website www.jacopofalleni.com and is a contributor to websites such as liquor.com, foodchannel.com and more. Falleni currently lives in Moorpark, CA where he spends his time inventing interesting pours of pure love for the sipping pleasure of friends, family and guests. A native of Catania, Sicily, Gianluca Maita developed a passion for food at a very young age. For as long as he can remember he always had an interest in the cuisine industry particularly for traditional homestyle cooking & genuine flavors. Being the son of a fisherman & growing up in the family seafood business he developed a keen sense of selecting & distinguishing seafood and the ability to perfect the most harmonious pairings of fresh ingredients. During his school career & throughout summertime holidays he kept his culinary passion alive by working as Commi Chef and Chef de Partie in a traditional Sicilian restaurant in his hometown. Here he honed his skills & craftsmanship in the kitchen which played a big role in laying the groundwork for his future profession. After earning his diploma, he had an itch to travel & explore the culinary world with high hopes of broadening his knowledge of international cuisine & living. He landed in London and hit the ground running. In the four years that he spent in the United Kingdom he worked for a well regarded restaurant and was able to experience several styles of cooking as well as learn the English language. His skills continued to grow and he defined his abilities as a Professional Chef. In 2015 he was given the opportunity to move to Australia and work as a Chef, a position that led him to greater express and improve his traditional and innovative Italian cuisine. Most recently, Gianluca made the move to the United States and arrived at Nonna in beautiful Westlake Village. Here he will be headlining using seasonal, local ingredients while combining his worldly kitchen knowledge with classic homestyle Italian fare. My name is Pamela Ganci. I was born in Zurich, Switzerland in 1978 and have been living in Bologna since the age of 3. I learned the art of pasta making watching my grandmother and my mother. They used their hands to transform wheat flour and eggs into a silky pasta dough. My grandmother was a pasta maker in the late 1800’s in Bologna. But pasta making is becoming a lost art. Legend has it that fresh “tagliatelle” was invented by a cook from Bentivoglio in the province of Bologna. He created and made a special new fresh pasta for the occasion of Lucrezia Borgia’s marriage to the Duke of Ferrara in 1487. 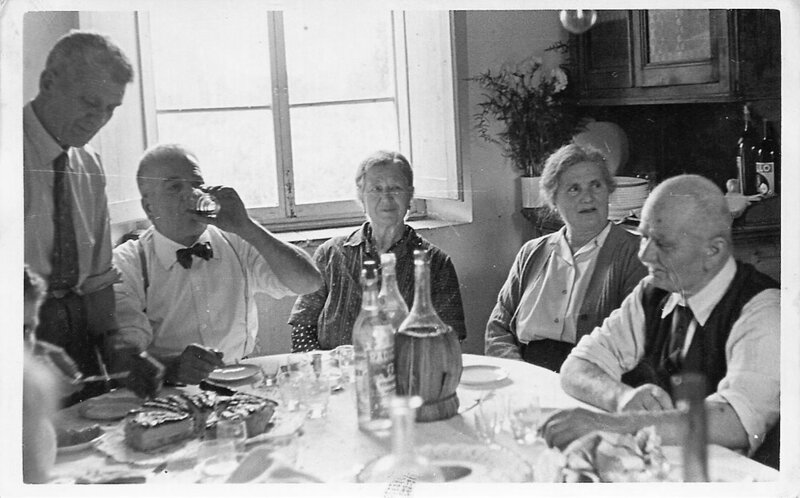 The most significant figure in pasta history is the “sfoglina”, a woman who made the pasta dough “sfoglia” by hand without conventional materials, and cut it into fettuccine, tagliatelle, tortellini, agnolotti, pappardelle, lasagna, and many other creative shapes. The art of pasta making is an essential part of intangible cultural heritage in Italy, and the preservation of the pasta making is very important. I am dedicated and passionate in preserving such art. I moved to Los Angeles 2 years ago to pursue my love for food and my passion for making pasta. Love is crucial; if we don’t have love it’s difficult to work well. And in the kitchen it is extremely important. I became part of Nonna’s family to bring this love to Westlake Village, and to make sure this “old” art does not disappear.